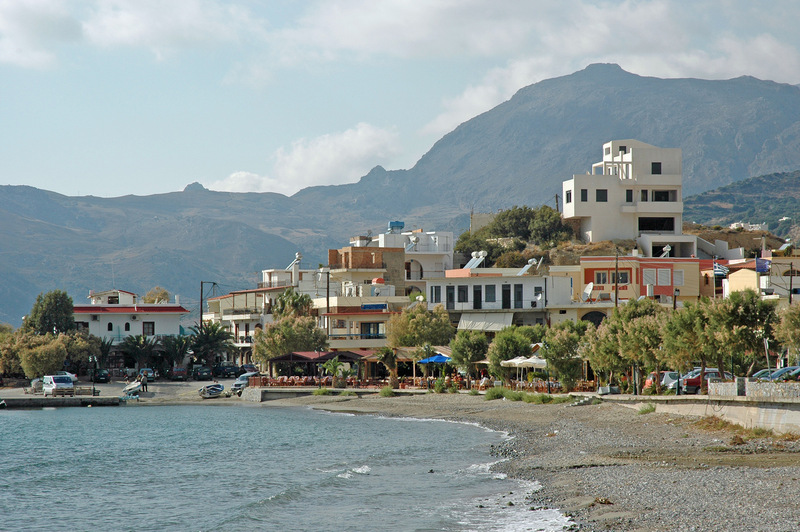 Plakias is on Crete’s less-developed southern coast. It’s about a half hour’s drive south of Rethymno. The root word of Plakias is “pla,” which always indicates something flat and wide (“Platia”=”Town Square,” “plakono”= “to flatten,” "plati" = "upper back," etc). In this case, Plakias’s flat place is an alluvial fan of soil, rocks and sand that have been washed seaward by the action of the watercourse running through the Kotsifou Gorge to the north. This geologic material empties into a crescent-shaped bay, creating a nice, golden sand beach with a slow slope into the waters of the Libyan Sea. This makes Plakias very safe for families with small children. Until the 1970’s, Plakias was a very tiny fishing village with a small jetty and not much else. It has since developed into a nice little tourist resort, with several small hotels and rooms for rent for the growing tourist trade. There are plenty of places to buy food, although as of yet there are no banking services or ATMs, so visitors are advised to bring what cash they need, in addition to their credit cards. If a great view is to your liking, you can rent a room at either Mirthios or Selia, small settlements higher in elevation than Plakias which offer panoramic views of the bay and surrounding area. 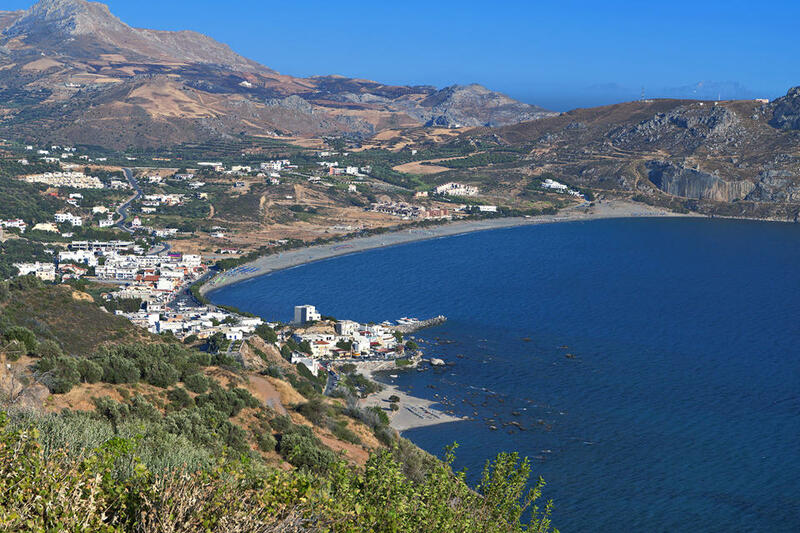 While Plakias was fist mentioned in a census in 1961 as being the permanent habitation of 6 fishermen, Mirthios and Selia have a history going back to the 10th century. 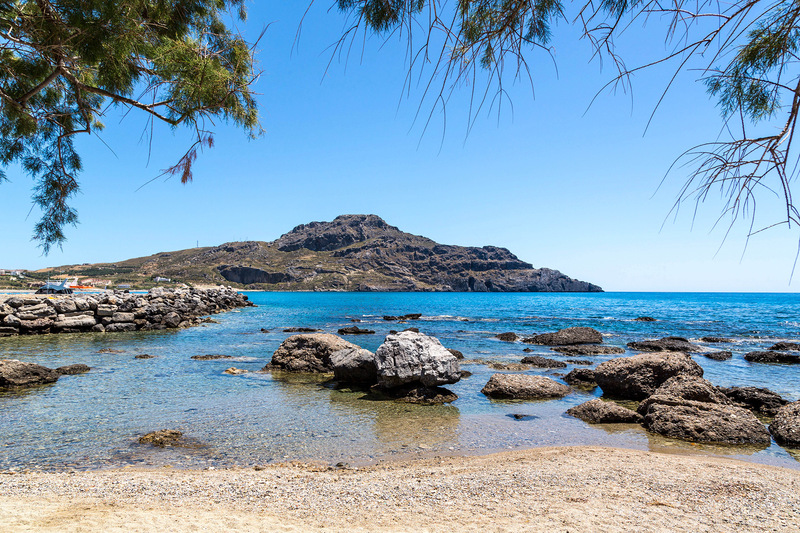 Plakias is a place for a quiet holiday, and not so much for noisy merry-making. People come for the excellent beaches and the peaceful environment. About 10 km southeast is the date palm forest and lake at Preveli. 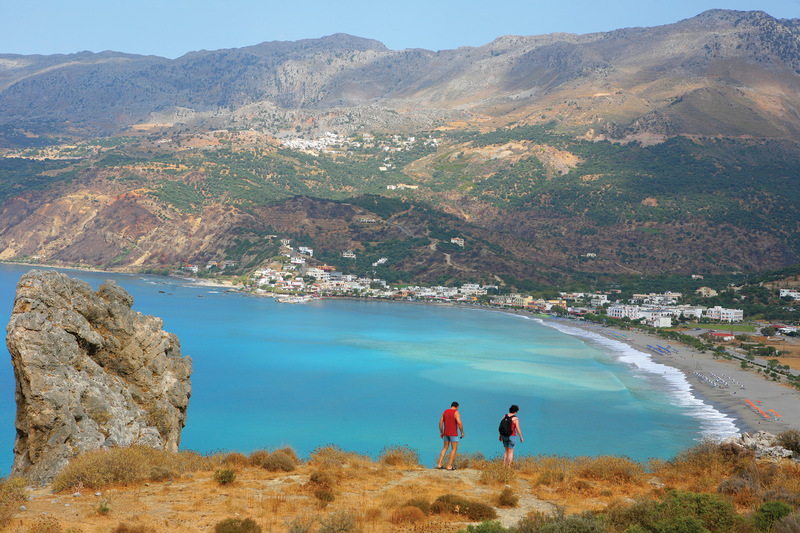 This is one of Crete’s best-known sights. The palms line the river running through the Kourtaliotis Gorge. Where the river empties into the sea there is a nice beach. Not far away is the historic monastery at Preveli, founded around the 10th century. 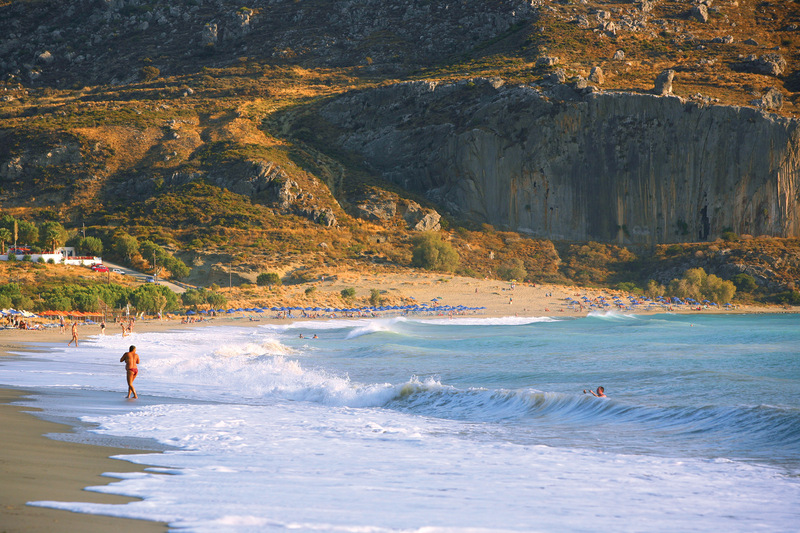 The beach at Plakias is 1.3 km long, with several other beaches within walking distance. Parking along the main road can be a problem during high season, and a big parking lot has been built just east of town. The Hotel Calypso near Plakias offers scuba diving lessons. There are also trails for mountain bikes, and hiking trails. A number of bird species make their home in the area, as well as it being a resting place for migratory species. Some, such of the royal eagle and elenora’s falcon, are considered endangered. Every September Plakias celebrates “World International Tourism Day” with a free buffet, traditional music and dancing performances in the main square. During high season, Plakias is served by 6 busses daily from Rethymno.